No rug treatment replaces occasional professional cleaning. Even with regular home care, professional area rug cleaning is a must to extend the life of your rug. Oriental area rugs are hand-knotted rugs produced in China, Tibet, Nepal, Pakistan, Afghanistan, India, Turkey, Iran, and other Asian countries. Oriental rugs are usually made of wool or silk. 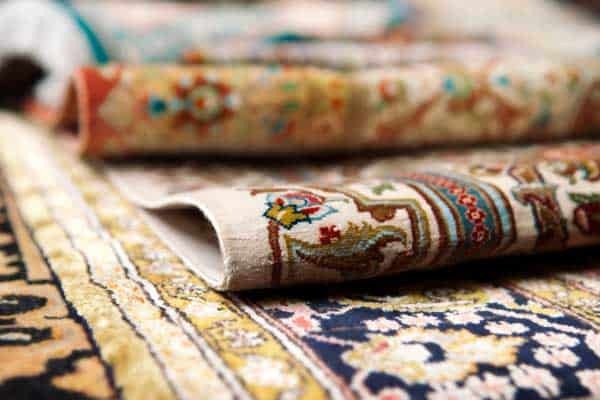 At Pettyjohn’s, we specialize in Oriental rug cleaning as we have over 28 years of experience in the area rug cleaning business. Surface cleaning can be quite a challenge, especially if you have many different types of surfaces in your home. Properly cleaning different surfaces is not just challenging, but it can also be quite expensive. Pettyjohn’s Cleaning is proudly serving the Raleigh Triangle area of North Carolina since 1989 with rug cleaning services. The goal of every service we provide is to provide a healthy and clean indoor environment that you share with family and friends. We do this by working sustainably, ethically, and ergonomically. Pettyjohn’s has been in business for over 28 years because we treat our Precious Customers with Compassionate Expertise. We strive to provide the highest levels of customer service, to empower you to make an educated decision on choosing the right cleaning company. We offer residential and commercial area rug cleaning, and rug and upholstery protection with our Fiber ProTector®. Robert and Karen Pettyjohn are the owners of the Pettyjohn’s, located in Wake Forest, NC. The Pettyjohn family has been cleaning Oriental rugs in the Wake Forest, Raleigh, and Greater Triangle area for the past 28+ years! We focus on consumer education, expertise experience and have dedicated our company to provide the most cutting-edge service in the industry. I recently took my rug to get cleaned because after 7 years of use, it needed to be cleaned. Kids and dogs can do some damage. I picked the rug up today. It looks brand new. My wife couldn’t be happier. I highly recommend their services! I appreciate Pettyjohn's great service and using environmental supportive techniques. They do so much more than just rugs! While working with a client I accidentally spilled oil on my jeans. I dropped off a small rug and mentioned my jeans and they gave me a product to try and IT WORKED! Anything needing cleaning - give them a try. Need a rug rebound or cut - try Pettyjohns. Need furniture cleaned - yep, I'm calling Pettyjohns! Pettyjohns cleans our carpets annually. The cleaning yesterday was outstanding. The carpet looks as good as new. A coke stain is totally gone and the carpets dried in less than 2 hours. Outstanding work. Known Robert and Karen for years. Just had carpet and upholstery cleaned at home. On time, courteous technician, job well done, great price. Not much more to say than that. Highly recommend these fine people to you. Pettyjohn's is a top rate company. We have used them several times and are always pleased with the way the job gets done and the prices. They are an EXTREMELY reliable company with an excellent staff. Robert, Amy and the rest of the staff are the nicest people you will ever meet. I recommend them to anyone who needs carpet or fabric cleaning!!! Sometimes you can accomplish some simple stain cleaning on your own, however, you have to be careful you don’t ruin and cause additional damage. This is where a professional rug cleaning comes in. Pettyjohn’s Cleaning is certified by the IICRC (Institute of Inspection Cleaning & Restoration Certification). With these designations, you can trust that we have the experience, knowledge, and expertise to clean your rugs and protect your carpet and furniture. Pettyjohn’s Cleaning has gone through the exhaustive process to learn the principals and standards of care for rug cleaning set by the IICRC.